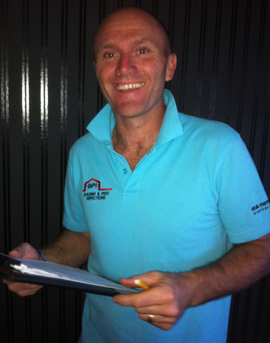 Troy has been in the Building industry for over 25 years and has experience in many types of construction, commencing in the Commercial Building Industry in the mid 80s and then on to domestic. He has also worked with some of Melbournes leading Builder’s Architects and designers. Troy is a registered domestic builder and has completed builds on over 100 homes for some of Australia’s biggest builders which include Henley Properties and Porter Davis Homes . His experience is extensive in many fields and includes supervision for National Heritage listed projects, City Council developments, architectural projects and also school builds at Melbourne University, Wesley College and MLC . As with all types of construction, defect identification is vitally important not only to new home owners but for the maintenance of older homes also. With such an extensive and diverse knowledge of buildings, you can rest assured that your next property purchase will be in safe hands with your local BPI Inspector.